I've noticed for a while, that since Spock's a mod to this site, she has had great contribution towards making KHI Fourms a very indulging place to visit. She is practically the only mod I know who really enjoys talking with other users on the site and really connects with them. I wanted to say this for a long time, but now I am. A toast to Spocks and her hard work. HOORAH!!!!! She has a statue already in front of my yard. She welcome me here while I was in the middle of my rant, so props to her for that! I love everybody but spocknart is one of the few i would commit a crime for. Ol' Spocks gives me good vibes, so I like her. Praise our one and only Nort. Follow in robvandam111's footsteps and you shall one day be worthy. But really, y'all are suer awesome and much better people than me! Eh your alright I guess. Hahahha im just kidding you cool. Perhaps this could be turned into a fanclub thread? 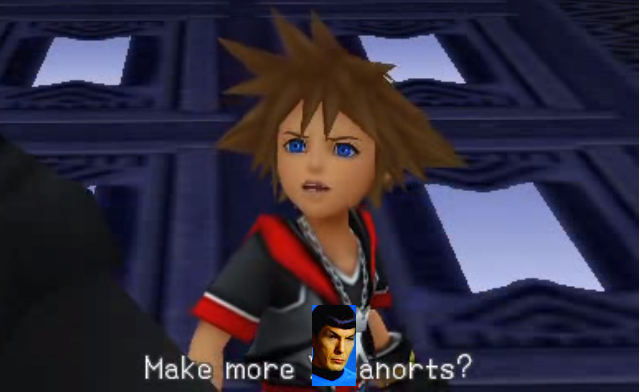 That way Spockanort may be praised each and every day! And if it does, will tributes be required for you to join? Because if so there's this one idea I had given out in another thread that I don't want anyone else to take. Spocknart had an FC but its been buried with much of the section. why praise when you can rebel and seize power?